27-06-2008, 20:36 - MSX - 25th anniversary! 17-06-2008, 20:22 - Msx Mbox 4.5 damaged zip file ? 07-06-2008, 21:09 - Hideo - Amsterdam - June 7th - the chance of a lifetime! 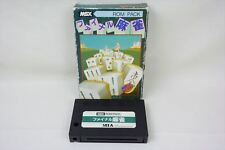 23-12-2007, 22:36 - For Sale: A lot of MSX games, incl. Konami's and much more!!! 20-12-2007, 22:22 - For Sale: A lot of MSX games, incl. Konami's and much more!!! 08-09-2007, 22:01 - [For Sale] 118 MSX items! 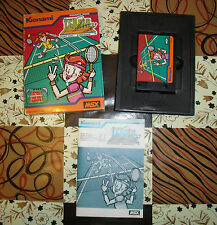 19-05-2007, 23:48 - MSX games brand new in shrink wrap on ebay !